Gandia is a city and municipality in the Valencian Community, Eastern Spain on the Mediterranean. Gandia is located on the Costa del Azahar, 65 kilometres (40 miles) south of Valencia and 110 km (68 mi) north of Alicante. It was an important cultural and commercial centre during the 15th and 16th centuries: in the 15th it had a university. It was home to several important poets including Ausiàs March, and produced the novelist Joanot Martorell, but it is perhaps best known for the Borja or Borgia, through their family title, Duke of Gandia. Today, Gandia is one of the largest coastal towns, with a population over 200,000, and a thriving centre of commerce and tourism in the region. There are two main zones, Gandia City, which has all the historical monuments, commercial activity, and shopping, and Gandia beach, where apartments and summer residences used during the summer season are to be found. The bars and nightclubs are concentrated in the beach area. As is normal for Spain, nightlife does not begin until well after midnight. The beach and town are actually some 2 km (1 mi) apart which succeeds in separating summer tourism from day-to-day living. 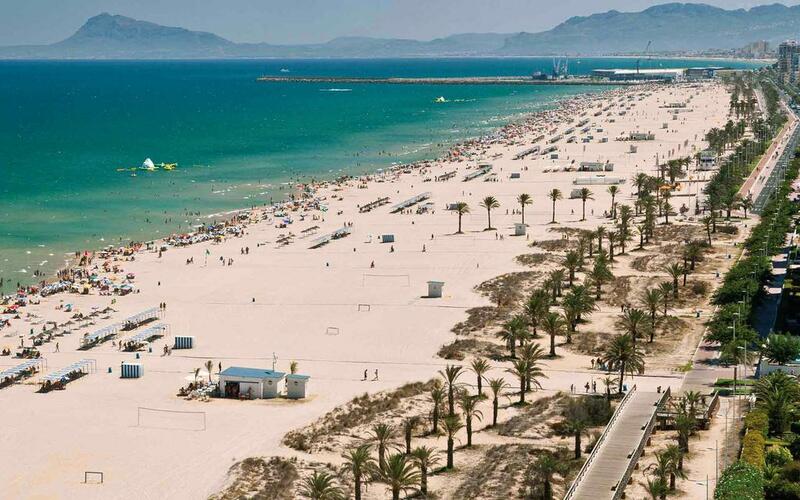 With its long, wide, golden, sandy beaches Gandia is one of the major tourist destinations in Spain. Traditionally Gandia's tourism has a domestic base, with the majority coming from Madrid, although in recent years it has been an increasingly popular destination for international tourists, mainly French, German and British. For culture, there are literary contests, the Summer University (Universitat d'Estiu), the International Festival of Classical Music and art exhibitions; sports include water, golf, tennis and hiking. There are some popular Spanish restaurants around the beach. Do you want to travel with your family to get to Gandia? Do you like adventure and freedom and you want to reach the destination Gandia with your moto ?